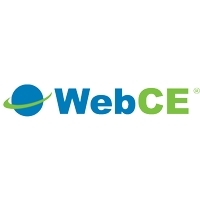 Dallas, TX, April 01, 2019 --(PR.com)-- Texas Monthly Names WebCE Among Texas’ Top 100 Employers. The Top 100 Best Companies to Work for in Texas list is sponsored by Texas Monthly magazine, Texas SHRM, and the Texas Association of Business. The statewide program managed by the Best Companies Group aims to recognize Texas’ best employers who excel in areas like employer benefits and policies, employee engagement, and employee satisfaction.